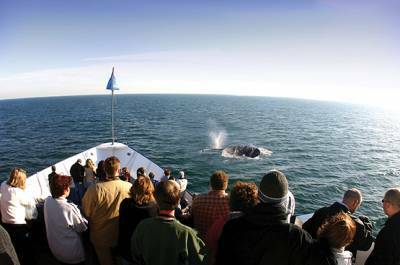 If you love whales, dolphins and sea birds, hop on board for a breathtaking experience on the open ocean. We’ll speed out to sea on one of our large, comfortable yachts and pass barking sea lions and leaping dolphins as we search for the legendary gray whales—known for migrating the longest distance of any mammal on Earth. Departs from Pier 2, 970 N. Harbor Dr.
Hornblower Cruises, 970 N. Harbor Dr.